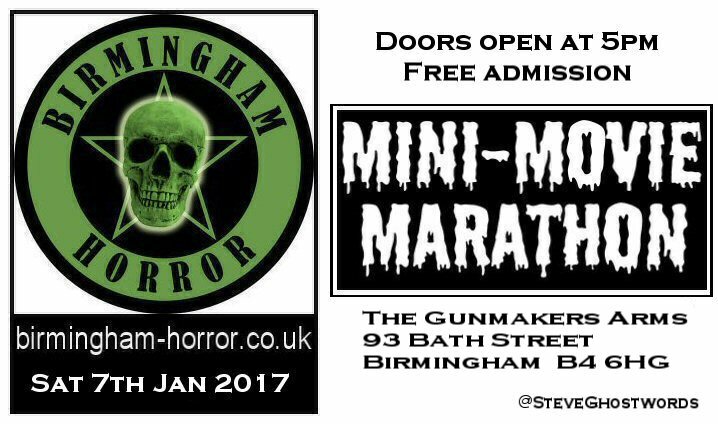 To mark its relocation to the Gunmakers Arms, the Birmingham Horror Group showcased 15 short movies by film-makers based in the UK, USA, Canada and South America. 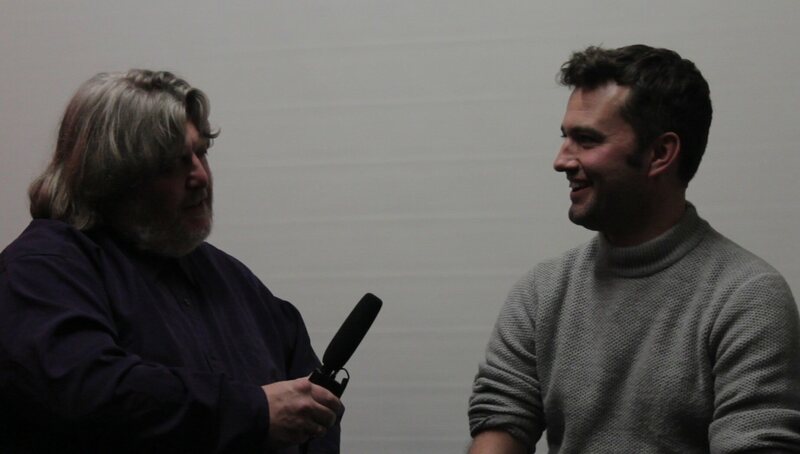 In addition, local director Carl Timms (above, right) was on hand to discuss his comedy Still, shot in the city’s Jewellery Quarter. 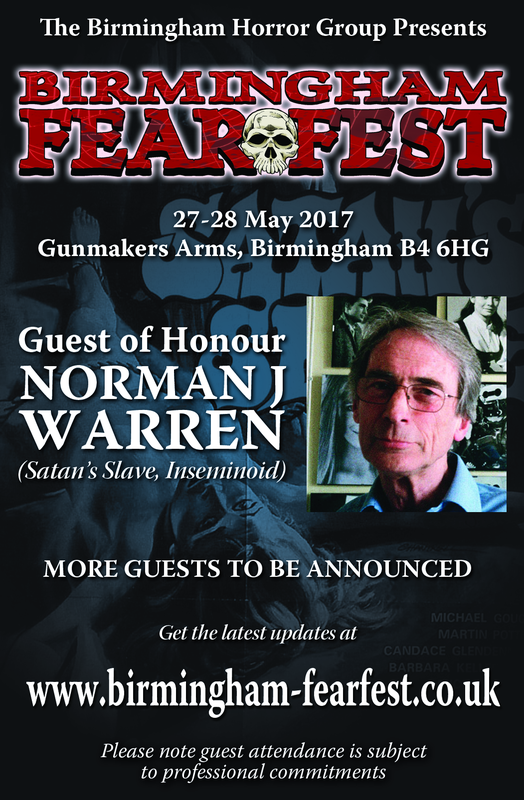 It is immense pleasure that the Birmingham Horror Group announces the guest of honour at its first Birmingham FearFest will be Norman J Warren, director of such British horror films as Satan’s Slave, Terror, Prey and Inseminoid. Further details about the event, including additional guests, will follow shortly. Update 19/1: We’re delighted to confirm horror actress/director Eileen Daly, vampire assassin Lilith Silver in Razor Blade Smile, will be attending on the Saturday to introduce one of her films and meet fans. The dates for our first Birmingham FearFest were today confirmed as 27-28 May 2017. 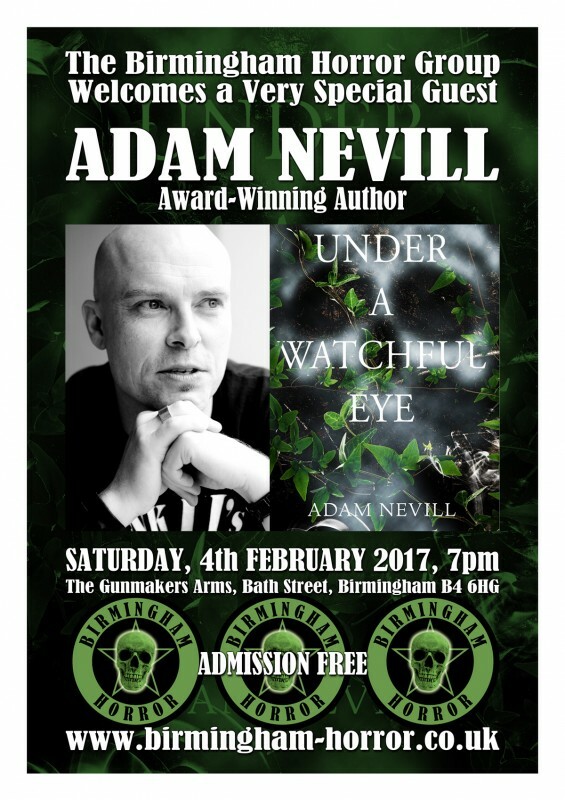 The venue will be the Gunmakers Arms, Bath Street, a short walk from the city centre. 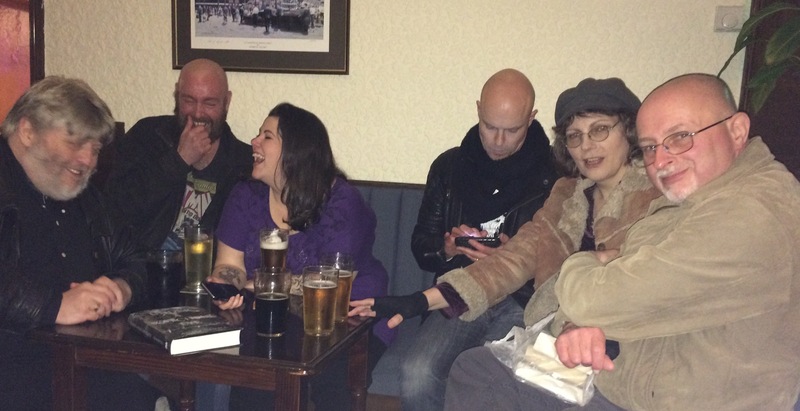 With a programme spread over both days and running late into Saturday evening, the convention will include guest appearances by writers, film-makers and artists, reflecting the full spectrum of the horror genre. In addition, there will be screenings, panels, workshops and dealers’ tables. Further details will be announced shortly, as soon as the event’s website is up and running. Note: Unfortunately, the change of regular venue was confirmed too late to make this publication’s Xmas printing deadline. See the front page of this website for the correct details. 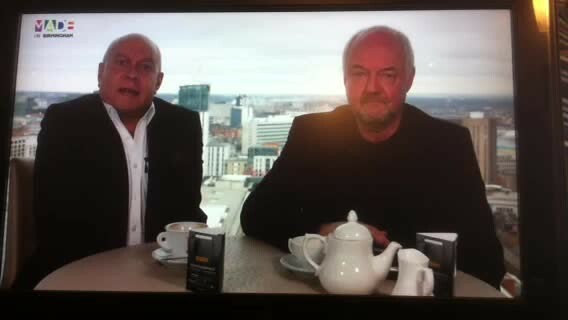 Many thanks to Gary Jones and Des Tong for that plug on their daily segment for Made in Birmingham TV’s The Lowdown Birmingham. Many thanks to Gary James and Des Tong for promoting our November meeting during the 11 November edition of Made In Birmingham TV’s magazine programme The Lowdown Birmingham.